Charleston is known as the Holy City because of its abundance of churches, but it could easily be called the Park City, instead. 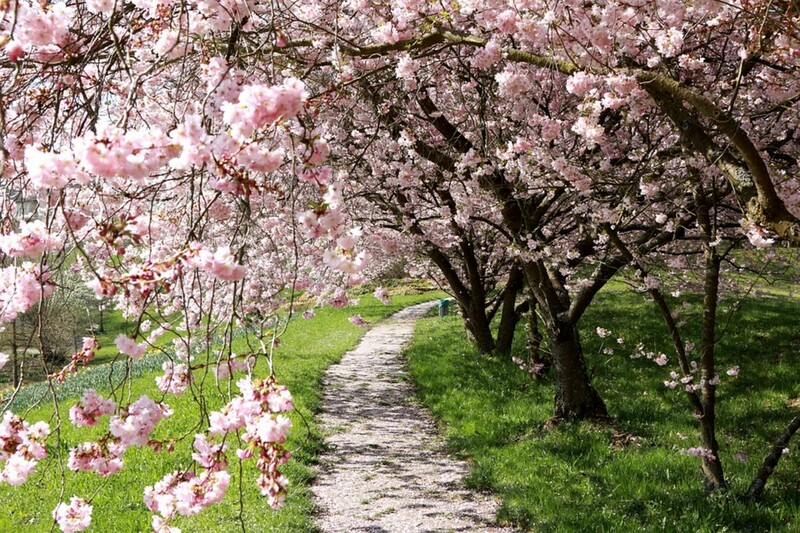 It is difficult to walk more than a block or two without finding some patch of ground designated as a city park. Even unlikely spots, such as a small cement pad with a wrought iron gazebo at a firehouse on Meeting Street, are officially parks. 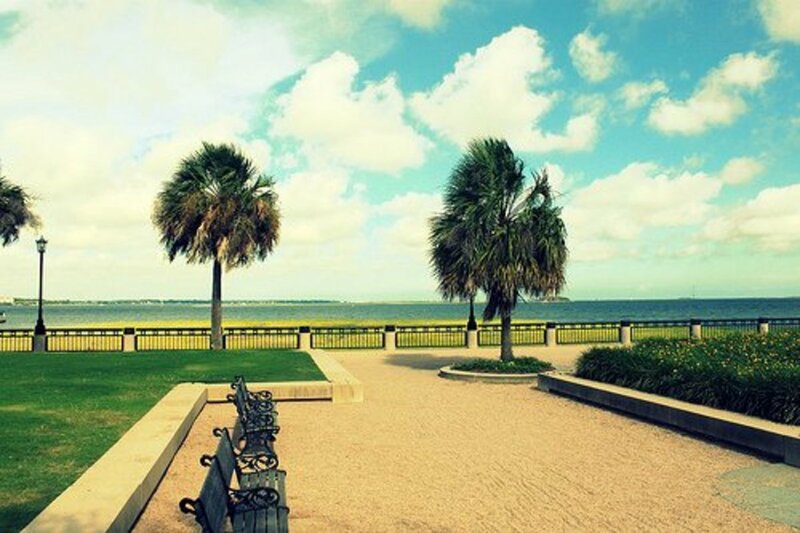 Without a doubt, the city's most famous parks are White Point Gardens, Marion Square, and Waterfront Park. Waterfront Park is the newest of the three, and an absolute must-see addition to the city's green spaces. According to the city website, Waterfront Park is "an eight-acre linear park and pier" designed for tourists and residents, alike. It is an amazing combination of a wide, open path with waterfront views and private, shady "rooms" with single person-sized benches. The park's main features are a long pier with porch swings and fanatic views of the USS Yorktown, a giant fountain you can play in, and the Pineapple Fountain, which is also a wading fountain. The park's design won the 2007 Landmark Award from the American Society of Landscape Architects and the National Trust for Historic Preservation. This award recognizes sites that are between 15 and 50 years old at the time of awarding for their outstanding landscape architecture and meaningful contributions to the community. If you travel to Charleston, Waterfront Park is neither difficult to find nor inconvenient to visit. It is located at the head of Vendue Range, a short street that connects to East Bay about two blocks South of the Market. Since most visitors to Charleston stop by the Market, Waterfront Park is a short walk away. Alternatively, a parking garage is available just across the street from the park. Adults and children love cooling off in Waterfront Park's fountains. As long as you follow the posted rules, it is perfectly legal to play in the fountains. 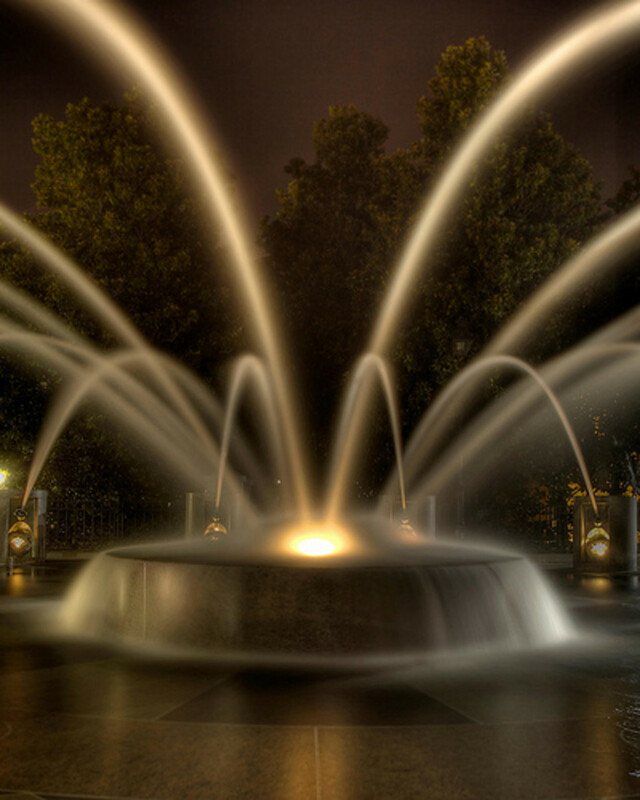 One fountain is basically a large, flat area with jets of water shooting from the outside to a pedestal in the center. This large area is a favorite cool-down spot for locals, but visitors are definitely welcome, too! The Pineapple Fountain's wading rules have evolved over the years. As a child, I remember swimming in the second and third tiers of the fountain. The times have changed, however, and today waders are only permitted in the fountain's lower level. Honestly, I'm not sure we were really 'supposed to' climb in the upper levels, but no one had posted signs or fountain monitors to tell us otherwise. Do not worry about the water quality; a few years ago, the city upgraded the fountain's filtration systems to accommodate a large number of bathers to ensure water safety. 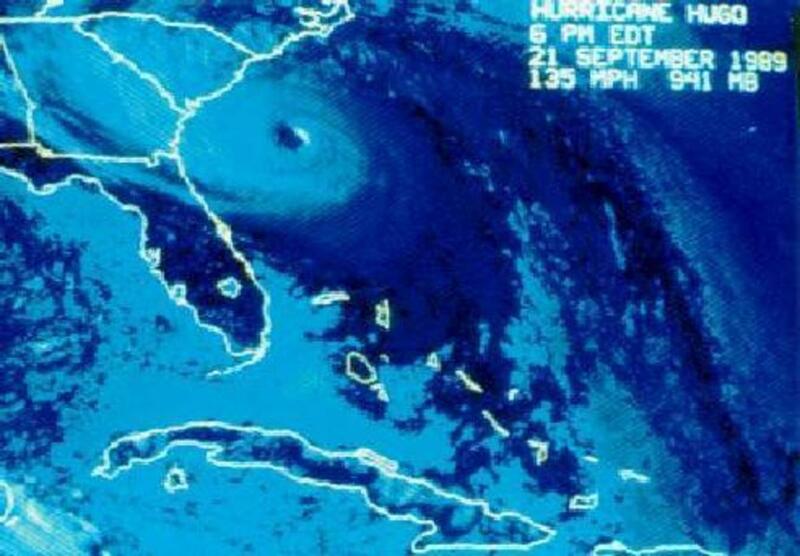 If you are unfamiliar with Charleston, it may seem odd that Charlestonians still talk about Hurricane Hugo as a defining moment in the city's history and refer to things as pre-Hugo or post-Hugo. Yes, Hugo was in September 1989, but its impacts are still noticeable in the city. Realistically, post-Hugo reconstruction shaped today's Charleston. While the storm brought great loss to the area, it also helped usher in an era of rebirth that is exemplified by structures and areas like Waterfront Park. While it sounds cheesy, I believe Waterfront Park exemplifies the Charleston post-Hugo spirit. Ground was broken for the park in 1988. Hugo caused about $1 million in damage to the unfinished park, but Mayor Riley was determined to see his pet project through to the end. In spite of adversity, construction crews worked around the clock and the park opened on May 11, 1990, only one week behind schedule. You can read about the post-Hugo cleanup and the site's 10-year anniversary celebrations in 2000 on the Post and Courier website. Whether you want to cool off in a fountain, relax in a swing while watching the harbor, or take a jog down the wide paths, Charleston's Waterfront Park is a community treasure. Unlike many parks that are hyped, created by cities, and left to die, Waterfront Park has remained an evolving, vibrant, and beloved part of Charleston for over 20 years. When you visit Charleston, spend some time at the park and I'm confident you'll see why we love it. 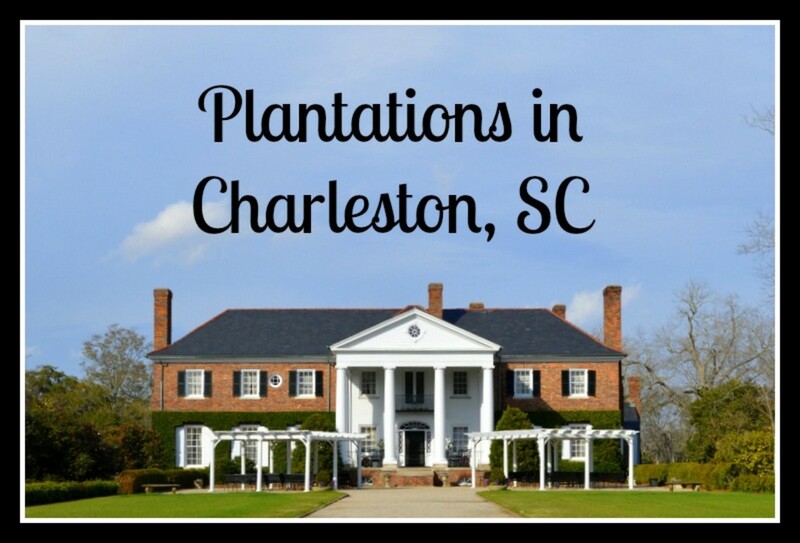 If you want to know more about Charleston sites, visit my article on choosing which plantation to see while you are in the area. 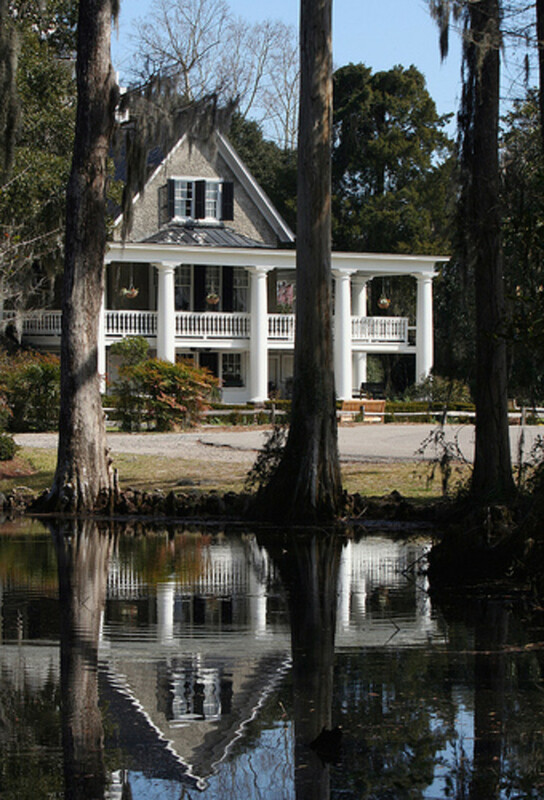 Pay the Lady of the South a visit; you won't regret it. Thank you - I'm very glad you enjoyed it and hope you find enjoyment in things I write in the future! Very nice blog, Reminds me of my good times. Thank you and keep it up. Thank you and thanks for taking the time to comment! I appreciate it. Thanks for an interesting hub. The fountains look very pretty. I'd love to visit Waterfront park one day. Thank you for stopping by my hy hub hopefully you get the chance to stop by the park, too, at some point. You're not the only one! Evidently, the fountains are way more popular than expected. I don't know if they have them this summer - I didn't seem them yet, but they've actually had to hire 'fountain monitors' some summers to make sure things stay under control. Gmaoli - It is always easiest to ignore what we're close to! I haven't been to Savannah in nearly a decade, Columbia in 8 years, or anywhere in NC (other than stops to buy gas) in 7, but I've been to Florida at least twice a year during that whole time! I'm glad you found this hub useful and I hope you make it back to Charleston soon! Teaches - luckily, while Charleston is associated with hurricanes, it seems to (KNOCK ON WOOD!!!) only get hit hard about once very 100 years. We are geographically kind of protected - far more hurricanes hit up by Myrtle Beach and Wilmington, NC. Deisemai - thank you! I hope you get the chance soon. It looks beautiful. I've always wanted to visit Charleston. This is truly a beautiful park. Your photos make me want to visit today. Hopefully, no hurricanes will affect it this year or ever again. I'm going to need to read your other hubs about Charleston. I've been there a number of times (being only an hour and a half away from there), but I feel like I keep missing some of the great areas. I remember going through the Waterfront Park, but never really took the time to watch the kids play at the fountains. I haven't learned that much about the history of the parks until after reading your hub. Well put together! Waterfront Park is pretty cool - I even saw a guy catch a small shark from the pier once! Great tour Natasha! You certainly live in a beautiful area! You'll just have to come back to see what you missed! 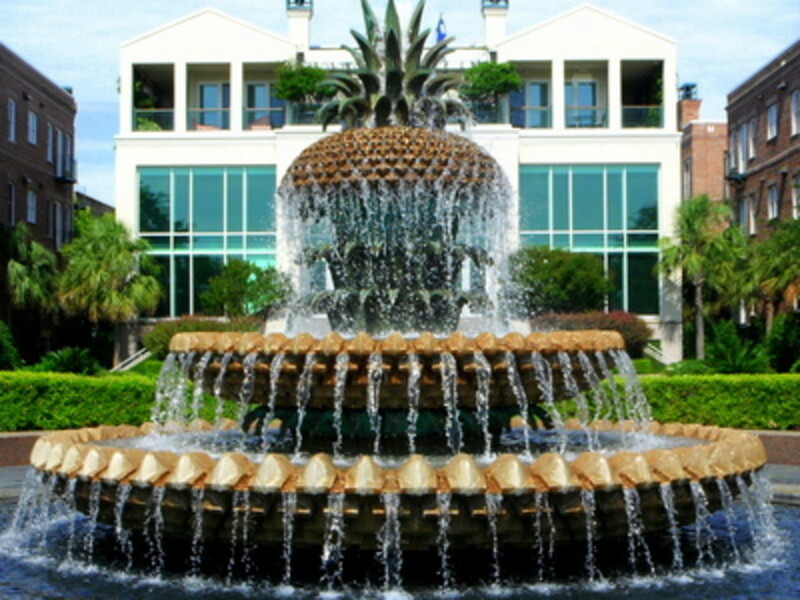 The Pineapple Fountain is incredible! 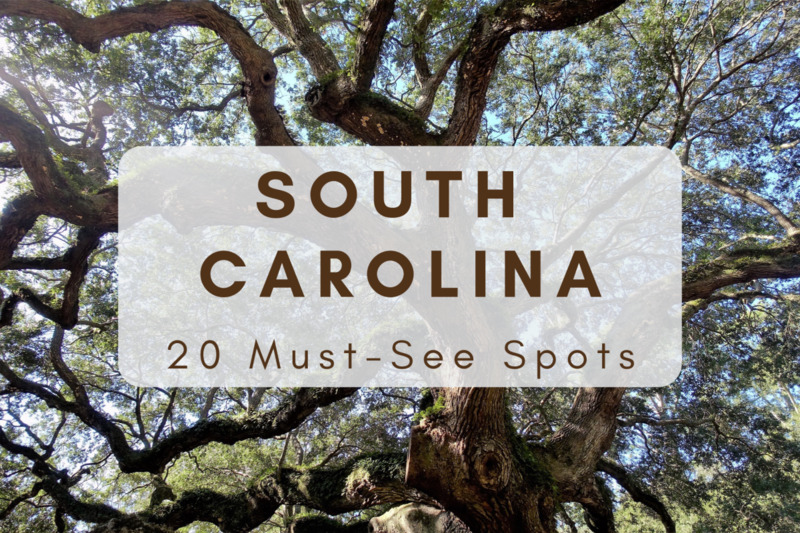 I wish I knew some of this before I visited Charleston, years ago.